As anyone who’s read this blog knows, we’ve talked about bolting our house down since we bought it. Coincidentally, the infamous New Yorker article came out a few months after we did the bolting, and now everyone is finally talking about the potential of a big quake. I am glad to see this happening, as people need to take a least some basic precautions and build up at least a basic set of emergency supplies. About a year ago we made the commitment to bolt the house down. Some people don’t know this, but most old houses are not actually attached to their foundations. The builders just started building the houses and let gravity do the work of keeping them in place. While that usually works just fine, it’s not the best plan if the foundation starts moving side-to-side. Anchoring the sill plate and tying the rim joist to the sill plate will help keep the house where it should be, instead of sliding off! We got a few quotes last December, but I wasn’t loving the quotes we got ($3.5-4k). Knowing that it was less than $1,500 in materials, I went ahead and did it myself. 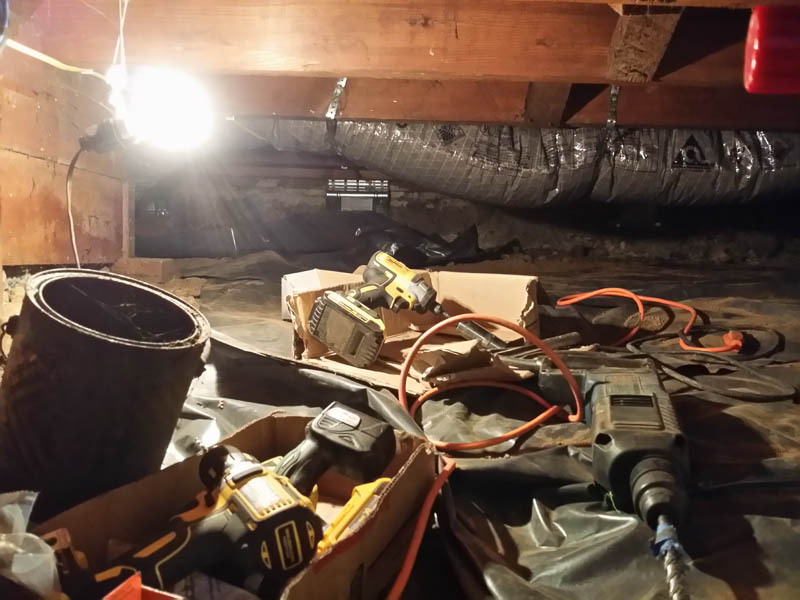 Besides saving a bunch of money, it was a great excuse to be able to justify a sweet Dewalt 20V drill/driver set, which made the job much easier and faster. The project was not exactly fun, but I got it done with about 20 hours of work. 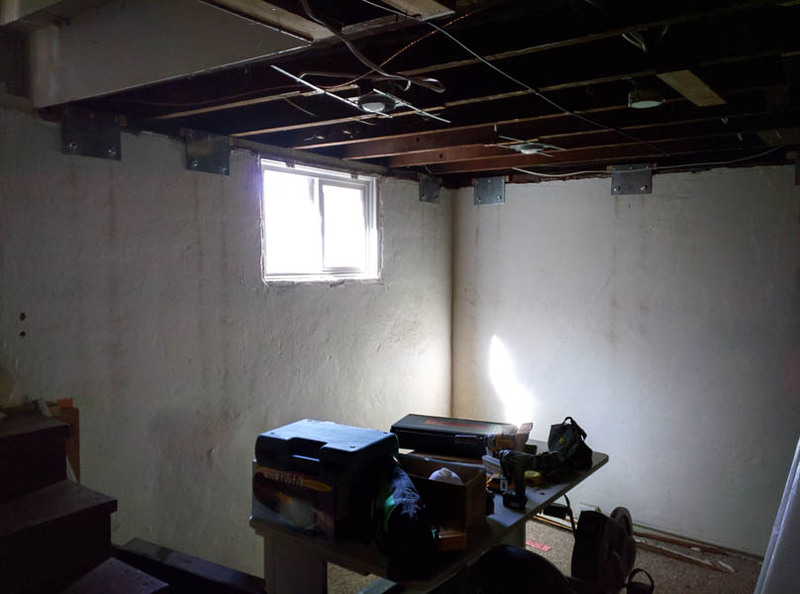 The portions in the full height basement were relatively easy, but the crawlspace plates were really tedious, as our crawlspace is really short. The ground slopes up, so I could only reach the back sections on my belly (no crawling possible.) 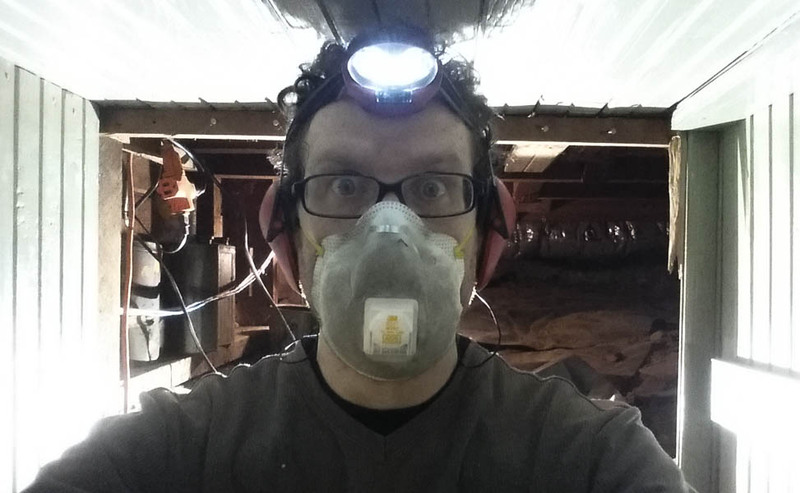 Then I had to figure out a way to roll onto my side under a joist cavity and then reach over and up to do the bolting. The little brackets used to attach the rim joist to the sill plate were the worst, as I couldn’t actually see them and had to do it all by touch. It was an awful job, but it’s done now. About 2′ of clearance, tapering to about 10″ in the back. NOT FUN! Not much head room! 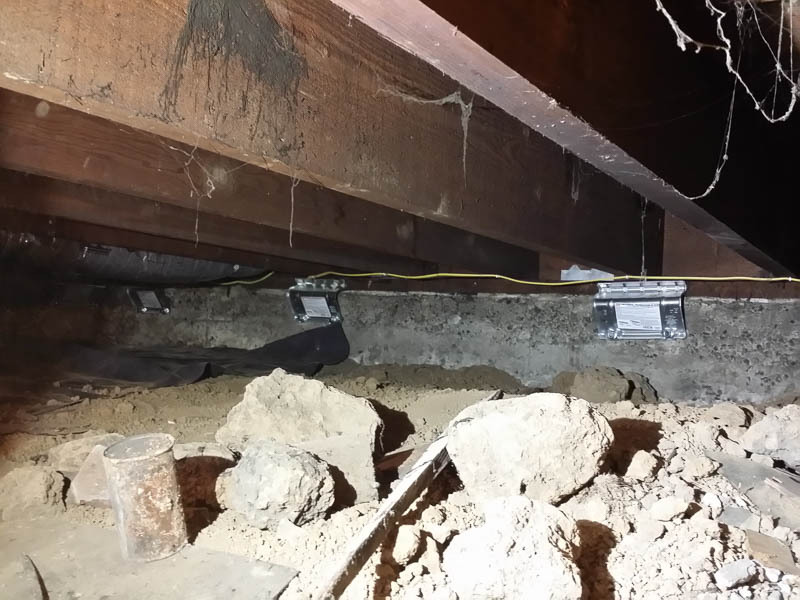 In the crawlspaces, I had to install the rim joist/sill plate 90° brackets by touch, since I couldn’t get in position to see them. This was challenging and required lots of bodily contortions! I’ve been contemplating this same job for the same reasons. My quotes were $5k – $6k. Just curious where you picked up the materials? We bought most everything from Home Depot. The “universal” (UFP10) plates had to be ordered, as they don’t sell them in stores anymore. 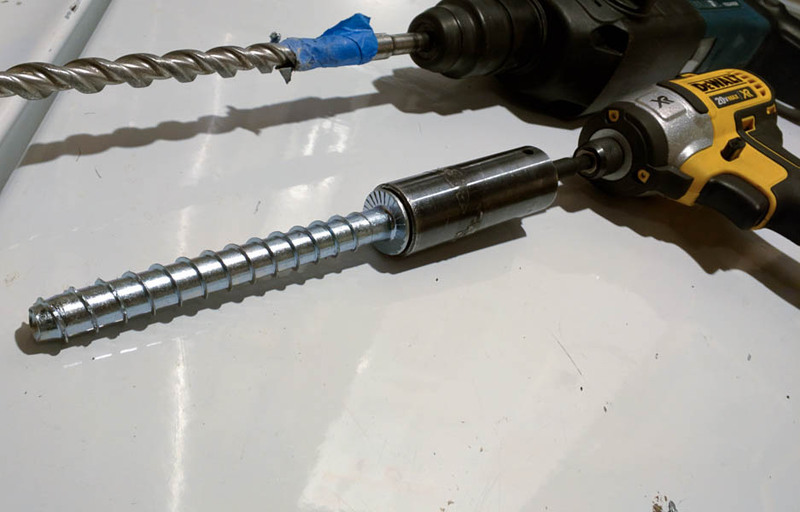 The Titen 5″ screws we used also had to be ordered online, but I recall that we had to get them from a different site, as HD didn’t sell that size.